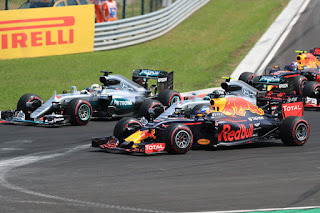 Talking about F1: The F1 blog: Hungaroring Preview: Who can halt Hamilton? The more things change the more they stay the same. It applies to F1, and perhaps befittingly it can do so in a back to front manner too - that our view of things that stay the same in fact changes. Tight and sinewy; much depends on the start. 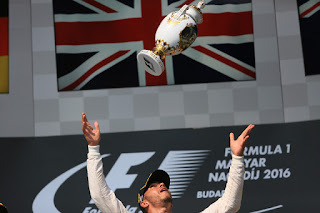 Take the Hungaroring, the venue for this weekend's Hungarian Grand Prix. When the fraternity rocked up to it for the first time in 1986 it wasn't too impressed. Its facilities gleamed; everything had been thought of. Indeed in many ways the fork in the road for the sport was right here - the sort of purpose-built from-the-ground-up immaculate autodrome that now dominates the calendar. All being bankrolled by the national government keen to 'brand' the country. The problem was the layout. Nigel Roebuck noted of the 'purpose-built' venue that "we swiftly concluded that part of that purpose had been to prevent motor racing. Tight and sinewy, it amounted to a prescription for soporific grands prix." And three decades on that's broadly how things remain at the Hungaroring. It still has the lowest average speed of any purpose-built track on the calendar; piling on as much downforce as you can is the default. Overtaking hardly is on the agenda. Little wonder 'Monaco without the houses' became the description of choice back in that first visit. Yet, as with a few other venues that were unloved initially, its popularity somehow has crept up over time. Some of this can be explained. The track is considered challenging nevertheless, and has moreover developed a knack of being the stage on which every so often great drivers put in great drives. One can think of Nigel Mansell's against-all-odds beating of the McLarens from 12th on the grid in 1989; Damon Hill oh-so nearly pulling off probably the biggest shock win of all time in the Arrows in 1997; Michael Schumacher's suspension of normality in 1998; and Fernando Alonso's astonishing (and sadly largely forgotten) progress in the wet in 2006. In 2014 too in a wet then drying afternoon there were many heroic efforts on display. Some of the races here have even managed to be diverting. It's also got a knack of being the scene of debut F1 victories - being so for Hill, Alonso, Jenson Button and Heikki Kovalainen. It's hard to envisage a freshman triumph this time though. Especially as recent Hungarian visits have tended to be about one man. Lewis Hamilton revels in the go-kart track-esque low grip surface challenges, and has won here five times. And what a difference a single race in Silverstone last time out has made. His title deficit to Sebastian Vettel, having for weeks maddeningly refused to close, was all but wiped out. We have to go back to Monaco in May for the last time Ferrari was on top of Mercedes. And now Lewis has Hungary before him - his happiest of hunting grounds. He'll also have equalling Schumacher's all-time pole record in his sights. Then he gets to go on his summer hols. Confusing the matter though - you might say in typical Lewis style - his last two visits here haven't been entirely convincing. In 2015 he looked set to dominate but drove like a hooligan on race day after a poor start. Last year he binned it on Friday and it wasn't clear after that if he had the legs of team mate Nico Rosberg; his victory owed mostly to getting ahead of him at turn one. What we can expect from his current Merc team mate Valtteri Bottas is even less clear. He's never finished higher than eighth in Hungary - though it was never a track to suit the Williams and Bottas nevertheless qualified third here in 2014. His form more generally has been strong recently and he could even leave Hungary as championship leader. Then there is Ferrari, which for the first time since it blitzed pre-season has conspicuous doubts encircling it. As intimated Merc's been showing signs of getting on top of the Italian squad consistently and a few are wondering whether Ferrari's recent upgrades have had their desired effect. The Hungaroring should suit it much better than Silverstone though and perhaps it can take comfort from that, as mentioned, its last weekend on top was at Hungary's distant cousin of Monaco. 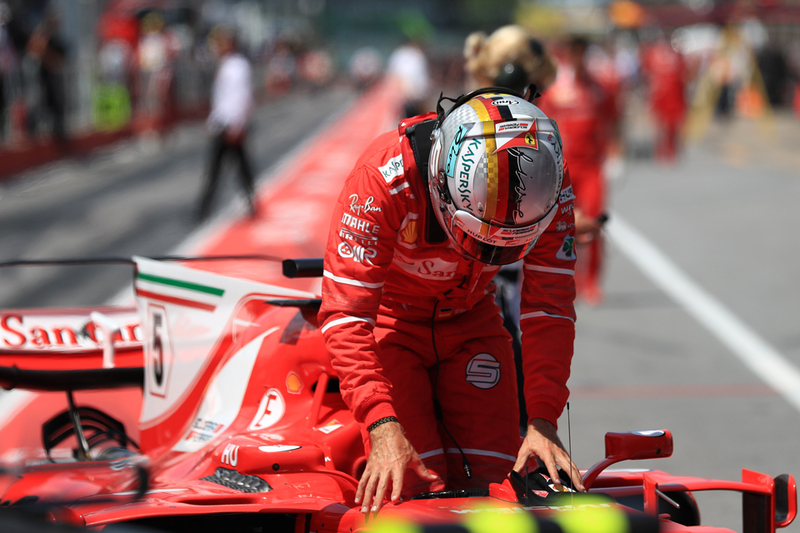 While for all the red team's Silverstone woes we shouldn't forget Sebastian Vettel was very close to both pole and win in Austria just a week before. Adding to what is on the Scuderia's plate, matters may not be mainly about the Mercs as it's a track that could be designed for Red Bull (it may be a surprise though that the team's only won here twice, and one of those was in a crazy race when it rained). 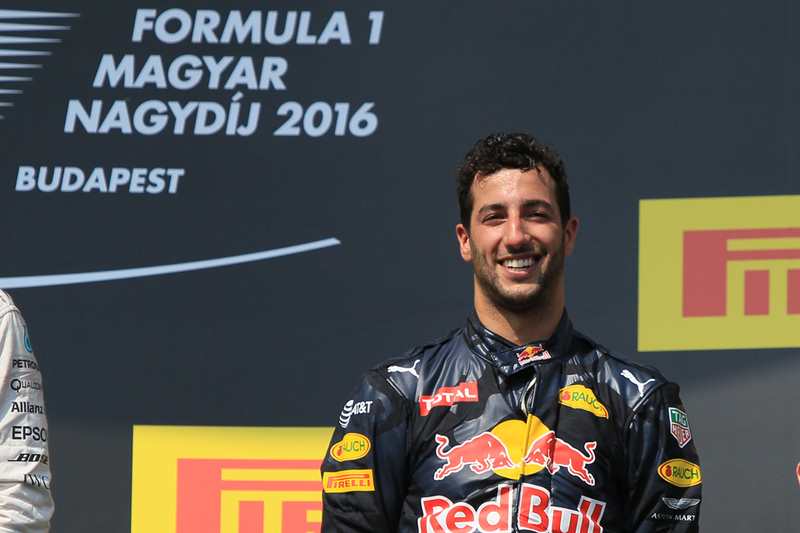 The Bulls have generally been going better in recent races while here last year Daniel Ricciardo qualified just three tenths off the pole. Ricciardo especially tends to go well at this venue. As for others to watch, this round is a good opportunity for those without powerful power units and a chassis that's good at low speed. McLaren for one has identified this meeting as an opportunity to score, evidenced by its piling up on engine penalties in Silverstone. 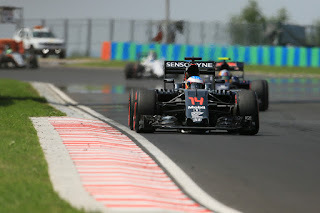 Last year Fernando Alonso got best of the rest behind the big three teams by finishing seventh. As noted a Hungaroring factor that hasn't changed over time is that overtaking is very difficult. Much of this track's trouble is in its almost never-ending succession of slow yet often lengthy and lingering corners, and especially the one that leads onto the track's only straight worth the name. When in another's wake through these the front grip of cars tends to wash out meaning competitors for the most part run a respectful distance apart. Safety cars aren't all that common here either. 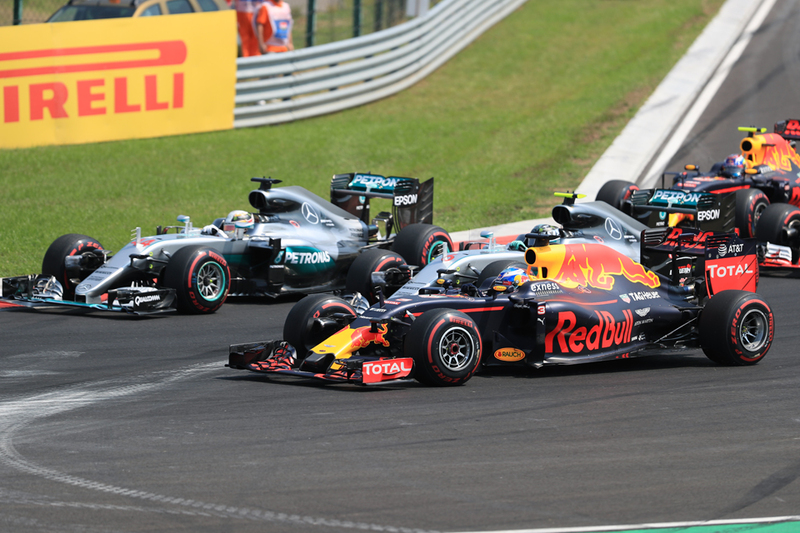 Bucking the 2017 trend one-stop races are close to unheard of in Hungary races. Another habitual factor is intense sunshine and sapping heat (rain has been an oddly frequent feature recently though, hitting two of the last three qualifying sessions as well as the race in 2014) and this combined with the long turns tends to ask a lot of the Pirelli tyres. The task of looking after the rubber without losing too much pace is another perennial here. The competitors seem to have given up on one-stoppers in advance indeed, with most piling high on the softest compound available, the supersoft, and shunning the medium. A further aspect this place shares with Monaco is rapid track evolution in the course of the weekend, meaning bum steers on tyres and set-up are common. The track isn't used much the rest of the year plus the hot climate means plenty of dust around. Even as the race nears its end ventures off line are unlikely to be rewarded. And for the reasons given strategy matters a lot in this race, and there are some recent-ish examples of people getting joy through getting creative. Last year Kimi Raikkonen started down in P14 and made it up to sixth at the end with a back-to-front approach starting on the soft tyre. Mark Webber did similar in 2013 to leapfrog from tenth to fourth. That race Kimi also vaulted to second by stopping once fewer than those around him and achieved similar the year before except via an offset approach wherein he pressed on for longer before his stops. Ricciardo might have won the crazy 2015 race after saving a set of soft tyres in qualifying to attack on them at the end of the race. Races here often have a marathon quality too - a long afternoon in the heat with little opportunity for drivers to rest. It can be similarly demanding of equipment, as there are few opportunities to cool components here too. As outlined Lewis is the favourite for this one, and for more than one reason. But even with its tepid image Lewis knows better than most that things aren't always that simple at the Hungaroring.